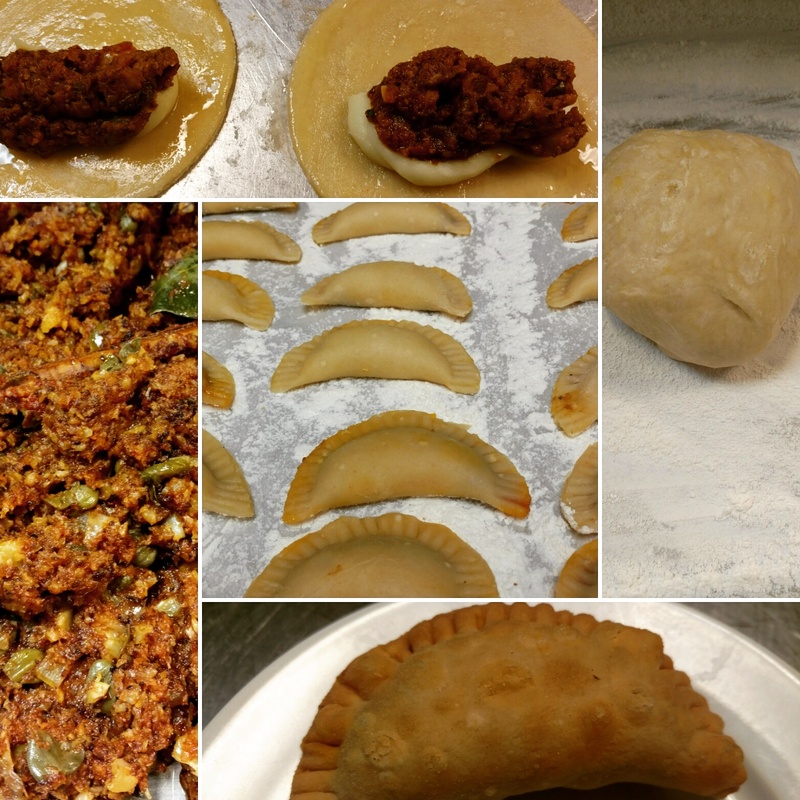 Made one of my favorite appetizers yesterday, empanadas. Again, trying to be a responsible omnivore, I decided to make picadillo using cauliflower instead of ground beef. Surprisingly if you closed your eyes and ate the finished product you would honestly not have any idea about the swap. I’ll never be a vegetarian — I enjoy eating meat too much. However in the past few years I have cut back the amount of meat, making it a component of my plates versus the centerpiece. I’ve studied about humanely raised meats and sustainable seafood but know the only way to make these things work is to shift our way of thinking when it comes to food. 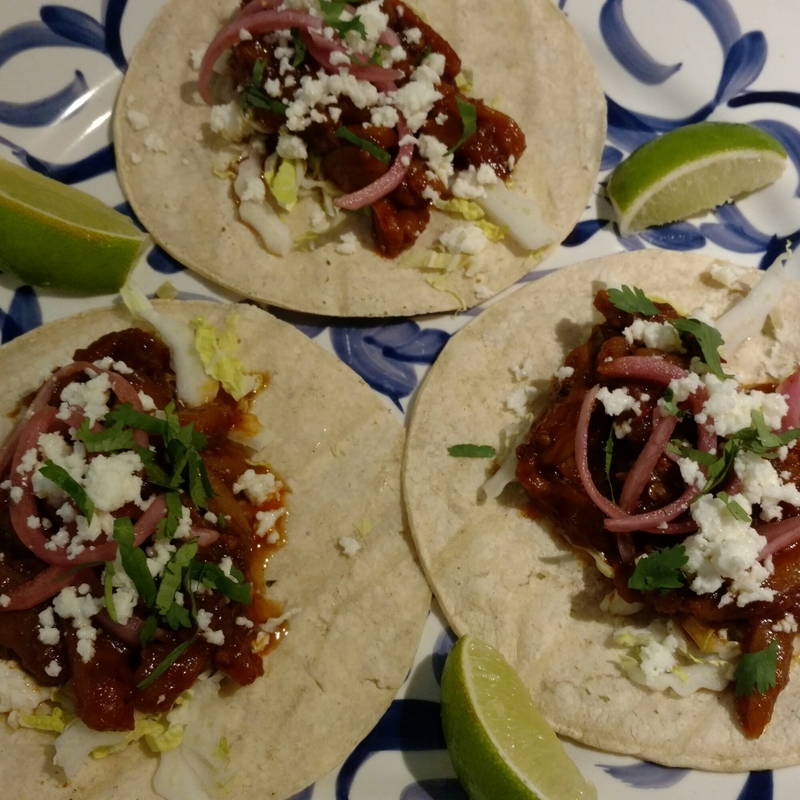 Tonight I’m making braised jackfruit ‘carnitas’. Like most household kitchens, I have a reserve of bacon fat that I don’t want to toss down the drain. 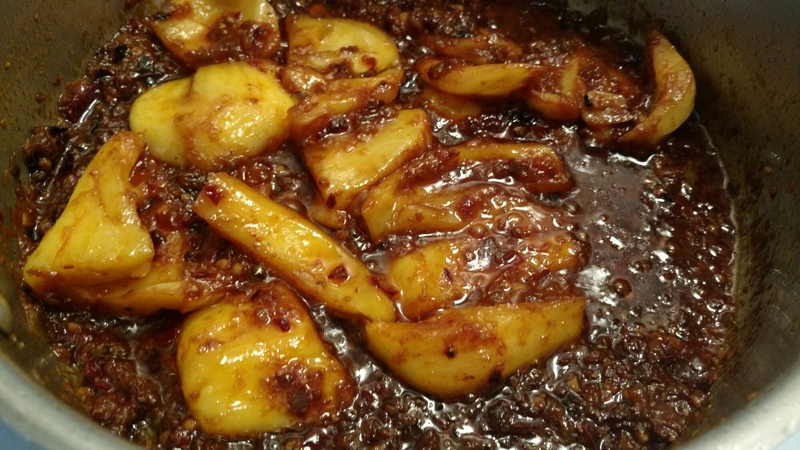 Feeling adventurous I decided to braise the jackfruit in that bacon fat and typical seasonings. It smells delicious and is most certainly not vegetarian.